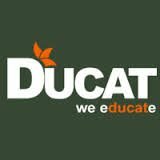 Ducat is a leading name in the computer training industry. We have a pool of highly qualified technical consultants working with us. The training program would be interactive one with a project base to let students get insight of the subject. We provides embedded course a 4-6 Months designed to impart both theoretical and practical knowledge in the Industrial domain. This training is designed for those engineering students who are willing to work with this growing technology. This training is based on Embedded System. Many types of electronic projects are constructed easily with different micro controllers, among them clocks, very simple video games, robots, servo controllers, and many more. With the fast movement of technology, this concoction of Embedded System and IT deals to provide the new dimension to the lifestyle of human. This conjoining leads to have sophisticated working process and splitting work and process to be happen through ease and preciseness. We are offering Industrial/Project Training in following domains…. Certificates will be provided to each successful participant at the end of the training by DUCAT. In case of any clarification please feel free to get in touch with us.